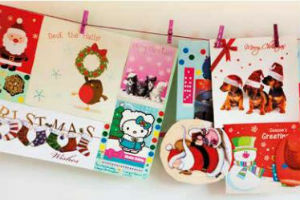 Charity Christmas cards – which retailers donate the most money? Some retailers donate as little as 7% of profits from charity Christmas cards to good causes, according to Which? research. Our investigation into 13 major retailers has found that some charities only get around 10p per pack. The Co-op gives just 10p from its £1.50 cards to food poverty charity FareShare. This is the equivalent of just 7% per pack. Lidl is also at the bottom end of our table, with the equivalent of 8% (10p) of the £1.19 pack price going to child cancer charity CLIC Sargent. Want to know where you should order your Christmas gifts from this year? Our research reveals the best and worst online shops. The table below shows the full details of how much is donated, and which charity receives the donations. You’ll notice that WH Smith appears in our table three times. This is because it donates 100% of the price of some of its charity cards to Children in Need. But for other packs, it donates only 10 or 20% to charities including Marie Curie and Help for Heroes. Depending on pack: a Between 45p and £1. b 25p or 15%. As for the other major retailers, Asda told us that it is not selling charity Christmas cards this year. Morrisons is selling cards for Sue Ryder, but will donate £50,000 to the charity regardless of how many packs are sold. Tesco is also selling a range of charity cards and donating a total of £300,000 to Diabetes UK and the British Heart Foundation. Can you cut energy bills and make Christmas extra cosy with a wood burning stove?